Dubai: Unstoppable India marched into the final of the Asia Cup in style demolishing their arch rivals Pakistan by nine wickets. 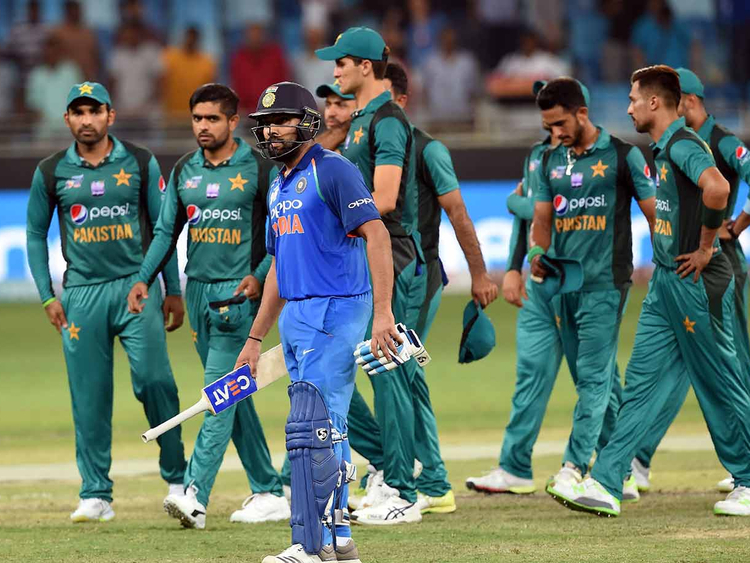 Openers Rohit Sharma and Shikhar Dhawan destroyed the reputation of the Pakistan bowling attack by virtually thrashing them all over the ground through a 210 runs partnership in 33.3 overs. 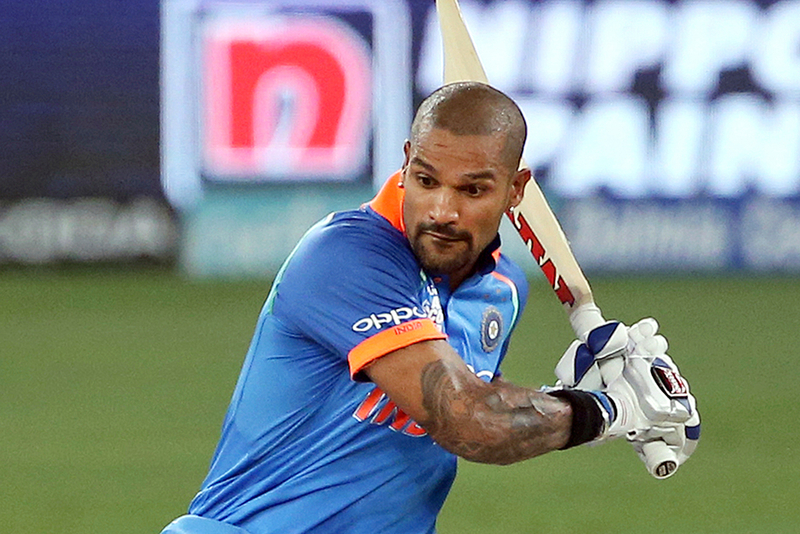 Dhawan cracked 114 off 100 balls with 16 boundaries before being run out while Sharma remain unconquered on 111 off 119 balls with seven fours and four sixes. After Pakistan were restricted to 237 for 7 through a brilliant exhibition of death bowling in which their bowlers gave away just 26 runs in the last five overs, the Indian openers helped their team win with 63 balls to spare. For the second time in succession, the Pakistan team that landed here as top favourites, failed in all departments of the game. In this match their fielding was at their worst. They dropped straight forward catches, when Sharma was on 14 by Imam Ul Haq and then on 81 by Fakhar Zaman. Pakistan fans here were made to wonder what has happened to their team that won the Champions Trophy last year and what’s wrong with their bowling heroes lead by Mohammad Amir. Never before, in recent years has India-Pakistan clash been so one-sided with Pakistan posing no challenge to India’s batting as well as their bowling might. Shoaib Malek’s knock of 78 runs and skipper Safraz Ahmad’s 44 runs went in vain. At one stage it looked like Pakistan may cross the 250-run mark but India bowlers with clinical accuracy choked the run flow. Indian spinners Yuzvendra Chahal and Kuldeep Yadav and medium pacer Jasprit Bumrath took two wickets each. Malek’s 78 off 90 balls had four boundaries and two sixes while Safraz hit 44 off 66 balls with two boundaries. Their partnership of 107 runs partnership in 23 overs was the best of the innings. Asif Ali too chipped in with 30 runs off 21 balls with two sixes and one boundary. Indian openers Sharma and Dhawan batted as smoothly as they did in all the matches of the Asia Cup here so far. When Imam Ul Haq at cover, dropped an easy catch offered by Sharma on 14 off Shaheen Afridi it made their job easy. In the first ten over the pair scored 53 runs. Dhawan was the first to reach his half century off 56 balls. The pair recorded their 100 runs partnership in 19.1 overs. All along they maintained a higher run rate than the required run rate. Sharma reached his half century in 65 balls. Earlier, Pakistan won the toss and elected to bat. Fakhar Zaman and Imam Ul Haq began slowly and put on 24 runs in 8 overs when Imam committed the mistake of playing across reading the leg break from Yuzvendra Chahal wrongly to be trapped leg before for 10. Fakhar Zaman and Babar Azam added 31 runs for the second wicket when off spinner Kudleep Yadav made Zaman on 31 sweep his delivery and was adjudged leg before. He walked without asking for a review as he did not realise that he had gloved the ball. Worse was to follow for Pakistan. Babar Azam, hurrying for single to a steer from his captain Sarfraz Ahamd to point, was sent back and could not beat Ravindra Jadeja’s accurate throw to the stumps. Pakistan best batsman thus literally gifted his wicket for India. The mantle of lifting Pakistan out of trouble fell of inform Shoaib Malek and Sarfraz. Pakistan went past the 100 run mark in 27.1 overs. They put on a 50 runs partnership in 12.1 overs. Malek began stroking confidently and even slog swept Chahal for a six. Malek raced to his second consecutive half century in 64 balls. It was also his 43rd ODI fifty. Sarfraz, whjo played second fiddle refused to play aggressive shots. He hit just two boundaries in the first 62 balls he faced. The pair put on 100 runs partnership in 130 balls with Malek hitting his second six using his feet, coming down the wicket and hitting Jadeja. 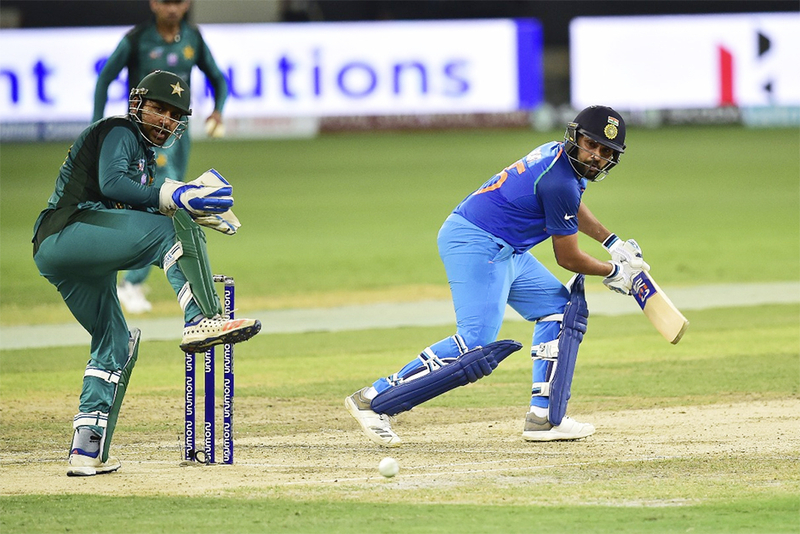 Yadav ended Sarfraz’s innings with a tossed up delivery that made the Pakistan skipper hitting straight to his counterpart Rohit Sharma in the cover for 44. It ended the 107 runs partnership in 23 overs. With ten overs to go Pakistan were 169 for 4. In the 42nd over Asif Ali who joined Malek, hit Bhuvneshwar Kumar for a six over long on, hit the next ball past point for a boundary and the third for another six over deep mid-wicket. With Malek having hit the first ball of that over too for a six, 22 runs came off that over. In the 44th over, Jasprit Bumrah ended Malek’s knock with a delivery that drifted down the leg side and Dhoni diving to his left taking the edge. Shadab joined Ali but a well set Ali attempted a wild swing at a googly from Chahal to be bowled for 30 off 21 balls. It was Chahal’s 50th ODI wicket from his 24th match. Shadab Khan and Mohammad Nawaz could not accelerate the run rate. They added 23 runs in the last 4.4 overs before Shadab was bowled by Bumrah for 10.